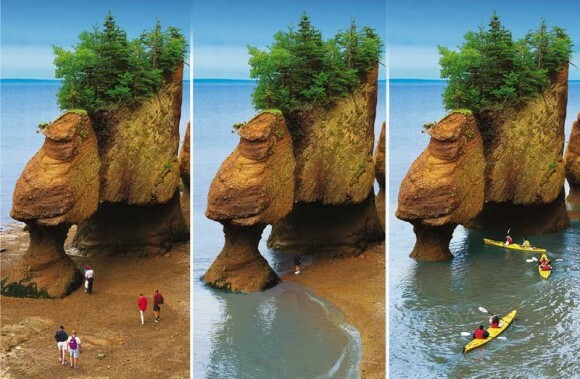 The tides in Canada's Bay of Fundy are the most extreme in the world. Because of the unique shape of the bay, the difference in water level between high tide and low tide can be as much as 48 feet (14 meters). Observing tidal changes over time at any coastal location can show interesting patterns. These patterns can reveal the relationship between tides and the lunar cycle. 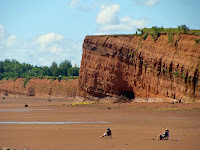 Bay of Fundy is also popular for their rocks that are as high as four storey building. Twice everyday the Bay of Fundy fills and empties of its 100 billion tonnes of water, creating the highest tides in the world. 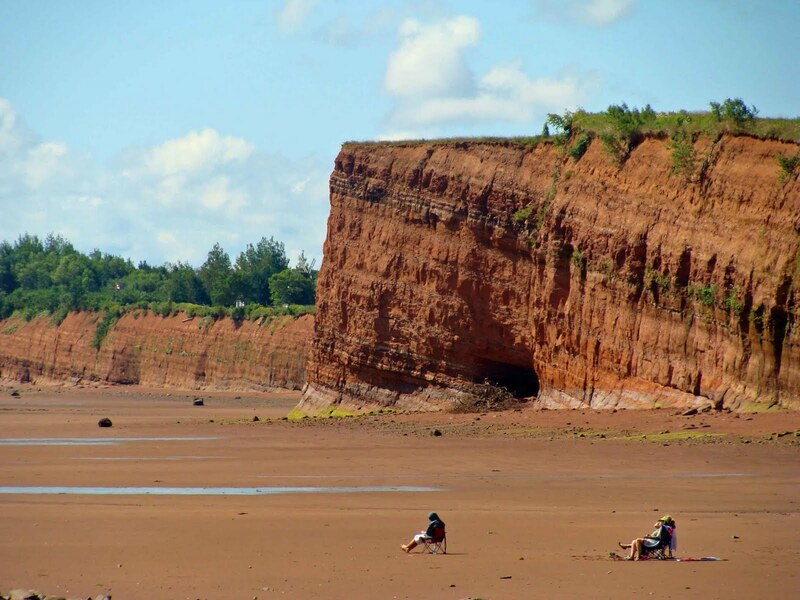 The height of the tide is 3.5 meters (11ft) along the southwest shore of Nova Scotia and steadily increases as the flood waters travel up the 280 km (174 miles) of shoreline to the head of the Bay where in the Minas Basin the height of the tide can reach 16 meters (53ft). The force created by these mighty waters is equal to 8000 locomotives or 25 million horses at the Minas Channel. This energy works within the Bay’s waters to stir up nutrients from the ocean floor, the mud flats and salt water marshes providing an abundance of food for the birds, whales, fish and bottom dwellers that visit or call Fundy home. 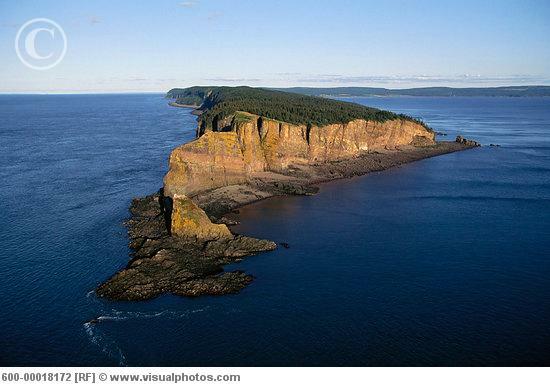 Because by its amazing, it is not surprising if Bay of Fundy become the finalist of New 7 Wonders of Nature. Fish, lobster, mussel, scallops, smoked salmon are several foods that you can eat in the Bay of Fundy. Winter is one of the best times to explore the Bay of Fundy, you will be impressed by two-tone seascapes, random ice cakes, frothy of snow and swirling winds.